The End of the Tax Return? 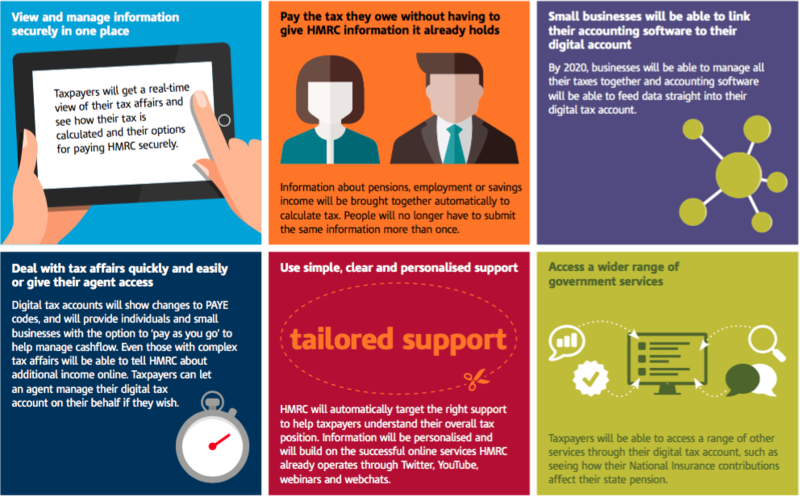 This government has promised that by the end of the current parliament everyone will have a digital tax account and during 2016 five million small businesses gained access to this with the creation of their own online digital account. This is one of the biggest changes to take place in the way we manage and pay our taxes and it is promised that we will see a much more user friendly way to deal with paying taxes with many not having to complete a tax return. There will be a period of transition which has started and is proposed that be 2020 the changes to the system will be in place. The new system will provide a real time view of our tax affairs and we will be able to see at a glance how much we owe and how our tax is calculated. Further information is here. Of course, this all depends upon financial records of your business transactions being current and this is, as always, the responsibility of the small business owner. Deadlines will still be in place. This is where I can help. Contact me if you wish to discuss any aspect of your tax responsibility. I offer a free initial consultation and advice on all aspects of book-keeping, tax returns and liaising with the Her Majesty’s Revenue and Customs. Contact me, Jenny on 01677470490 for an informal chat.